Virtusa Mega Walkin Drive | Software Developer Jobs Openings In Chennai On 9th December 2017. Greetings from Virtusa!!! Virtsua is conducting Latest Walkin in Chennai for the role of .Net Sr. Developers vacancies. Individuals who are having good knowledge on Dotnet Developer with Database skills are mostly welcome to Virtusa Recruitment Drive in Chennai. Hurry up postulates huge number of competition is available for Virtusa Walkin Drive, The Virtusa interview is held on 9th December 2017 in Chennai location. Candidates can make use of Virtusa Careers opportunity to make your career in right path. Interested and willing aspirants can go through the below sections to know more details about the Virtusa Walkin Interview. Virtusa is going to recruit the experienced candidates to fill 8 openings in the process of .Net Sr. Developers. Individuals who are passionate about IT Jobs can refer our site All India Jobs to get all details information regarding walkin details from our website. 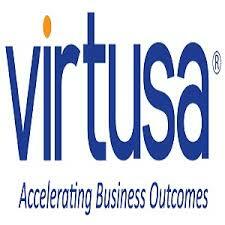 Moreover a massive number of candidates are willing to particulate in Virtusa Job Openings. So to explore your career in a better way applicants have to work for the selection process. Based on the individuals performance Virtusa higher officials will shortlist the applicants for the respective positions. Selected candidates will allotted to the current posts with best pay scale compensation with additional benefits. Top help the candidates we had dispatched few Virtusa Placement Papers for the applicants to make them perform well in the competition. Virtusa has clearly stated that candidates who are mush worried about the Virtusa Test Patterns has given in our blog for reference purpose. By checking the model papers candidates well know the difficulty level of examination. These model questions papers will be very useful the applicants to crack the examination easily. To get accurate and current information about Virtusa Walkin Drive refer official website. Should complete 1 Project lead (Development + Project management skills) for new product/solution implementation process. Virtusa Corporation (NASDAQ: VRTU) is a global information technology (IT) services company providing IT consulting, technology and outsourcing services. Using our enhanced global delivery model, innovative platforming approach and industry expertise, we provide cost-effective services that enable our clients to use IT to enhance business performance, accelerate time-to-market, increase productivity and improve customer service. We serve Global 2000 enterprises and the leading software vendors in communications & technology; banking, financial services & insurance; and media & information industries. We build and sustain application platforms for our clients that create competitive advantage. Founded in 1996 and headquartered in Massachusetts, we have offices and technology centers throughout the U.S., U.K. and Asia. Globally, Virtusa has been acknowledged and recognized by customers, industry associations and media among others. Some of the awards and recognition include Dataquest-CMRT Best Employers Survey -2012 (Ranked No. 5), International Business Award, 2012(Stevie awards) , Britain Top Employers- 2012, American Business Award 2012,Boston Business Journals Fastest Growing Public Companies, Global Services 100, Fintech 100, Sri Lanka National HRM and others. How To Apply For Virtusa Job Openings?? We hope the given information is suitable for the candidates who are passion to work as .net Sr Developer vacancies. Virtusa is hiring only experienced candidates. So check more details regarding Virtusa Walkin Interview from our website www.allindiajobs.in.